Change is coming, and has come, as 2018 dawns. 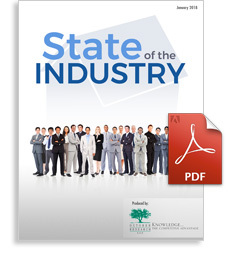 October Research, LLC's annual State of the Industry report provides expert insight on this year's economic and regulatory landscape from the perspective of title and settlement services providers, lenders, appraisers and real estate professionals. Download the free 20-page special report today to learn what industry leaders expect in 2018 and what you should do to prepare for a year in which easing regulatory burdens is the dominant theme.